On Friday Somerset County Cricket Club will be helping BBC Somerset take on a mammoth challenge for an amazing cause. 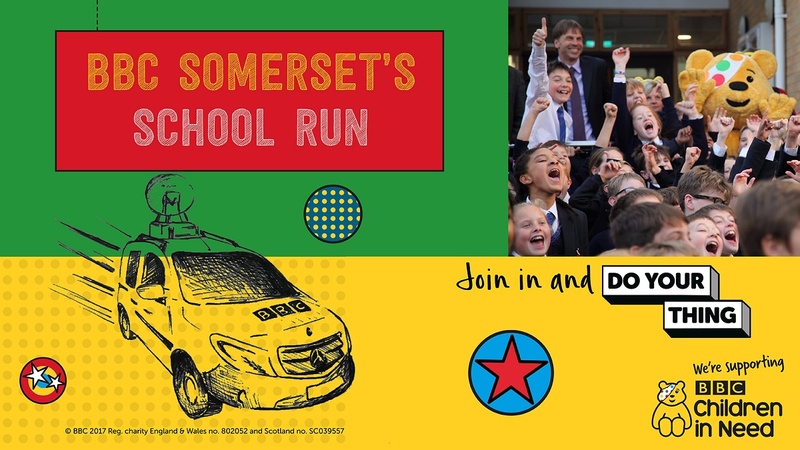 Two teams of presenters will be racing across the county visiting as many schools as possible, whilst raising money for BBC Children in Need. It all starts with a star studded Breakfast Show at Frome’s Cheese and Grain, including lots of local schools, sporting stars Amy Williams and Emily Diamond and of course Pudsey! Claire Carter and her team will be heading through Shepton Mallet, Bruton, Castle Cary, Yeovil and Ilminster. 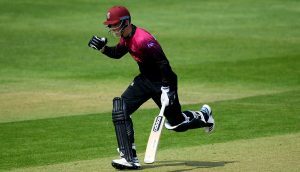 Meanwhile Matt Faulkner’s team will start in Dunster before heading to Minehead, Bridgwater, Street, Glastonbury and finally Taunton. 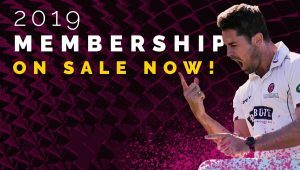 The day ends with another huge show at the home of Somerset County Cricket Club, the Cooper Associates County Ground in Taunton. The guest list from 4pm until 7pm will include the likes of Marcus Trescothick, Jack Brooks, George Bartlett and Eddie Byrom. Also in attendance will be the Tommy Banner of the Wurzels, Bake Off star Val Stones and several of the incredible charities which benefit from your donations to BBC Children in Need. Ahead of the event Somerset CCC CEO, Andrew Cornish said: “We are delighted to be helping such a worthy cause. Children in Need is an outstanding charity and it is a real honour to be able to support BBC Somerset’s fundraising efforts once again. For more information or to donate to Children in Need please click here.